Formosa Diving - Learn, explore and enjoy the world that lays underneath…. Let me elaborate : PADI stands for Professional Association of Diving Instructors. That’s at least what it was 40 or so years ago when it was established. Now days, in the scuba world they laugh at PADI and give it names like : Put Another Dollar In. They compromise on standards, and they are truly capitalists. There’s so much politics to in, more than there’s scuba in it. So yes, PADI is the biggest organization. 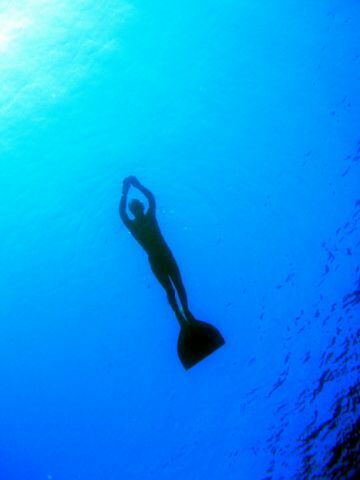 Yes they make a lot of money, BUT to associate PADI with safety is like associate a vegetarian with a a piece of steak. So when u r in a look of a dive buddy, make sure he’s QUALIFIED and not just CERTIFIED. Certification doesn’t mean that he or she really knows anything regarding scuba. So in your inquiries for a dive instructor, school and certification, look for quality, and not quantity. There are other organization out there and to be sure they’re recognized, you need to go to the WRSTC site ( world recreational scuba council ). If they are recognized, you are safe and u can dive anywhere in the world without any problem. To be fair, I have met good PADI instructors as well in my life (most of them also work for other organizations ..) . So the underline of all of this – don’t disqualify other organization and don’t be obsessed with PADI. Look for a quality experienced facility and instructor. If it’s a PADI facility, it might be a good one, but it’s not automatically good JUST because it’s PADI. Hope you got enlightened a bit and got better understanding of this issue.